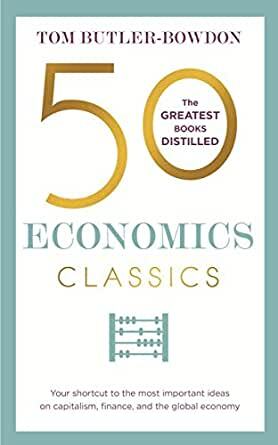 The greatest economics books distilled in the latest volume of the bestselling 50 Classics series. Seminal ideas from thinkers such as Richard Thaler, Thomas Piketty, Naomi Klein and Ha-Joon Chang. 5.0 out of 5 starsMaybe you, like me, didn't get that "classical education"
Another in a long line of excellent reviews of a field of knowledge. Great introductions to things I ought to know and then can choose to read in depth. I enjoyed the authors thorough and engaging writing style .He makes the dismal science both relevant to today's issues and exciting to read.